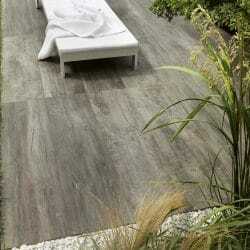 When we talk about wood-effect tiles, many people conjure up images of cheap wood imitation flooring. Nothing could be further from the truth. 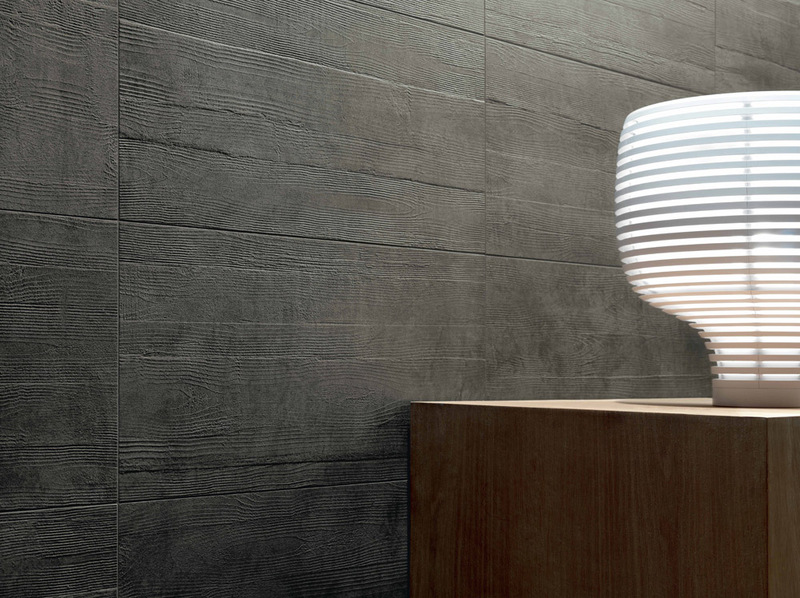 These elegant and hard-wearing ceramic tiles can be used to create a stunning effect in any home, without many of the additional complications that come with laying wood flooring. 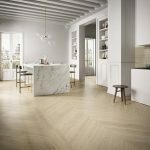 For these reasons and more, wood-effect tiles have become increasingly popular over the last year, with many homeowners now choosing them over wood. 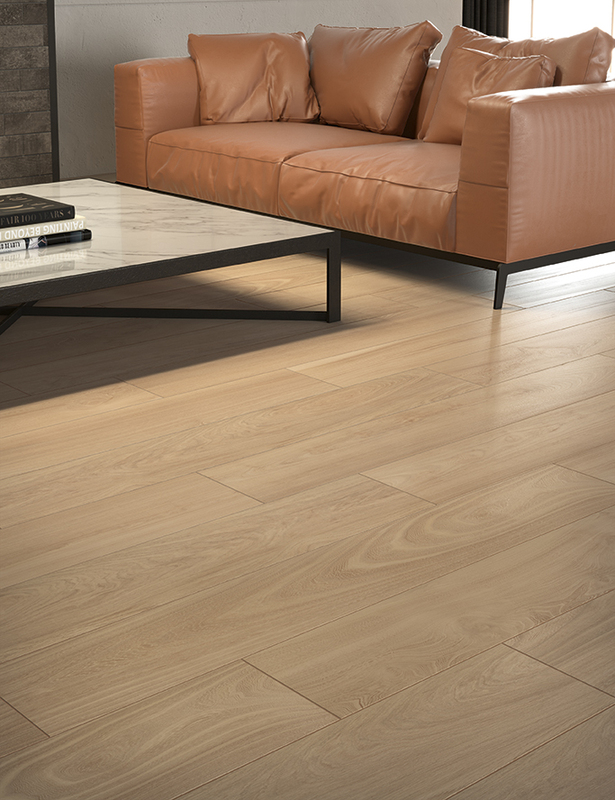 Made from ceramic, our wood-effect tiles are much more resistant to the daily stresses and strains our floors are required to endure. 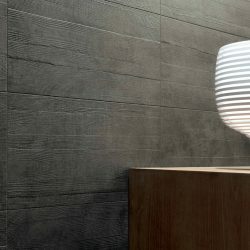 This means that they are ideal for areas of high foot traffic, such as a hallway. 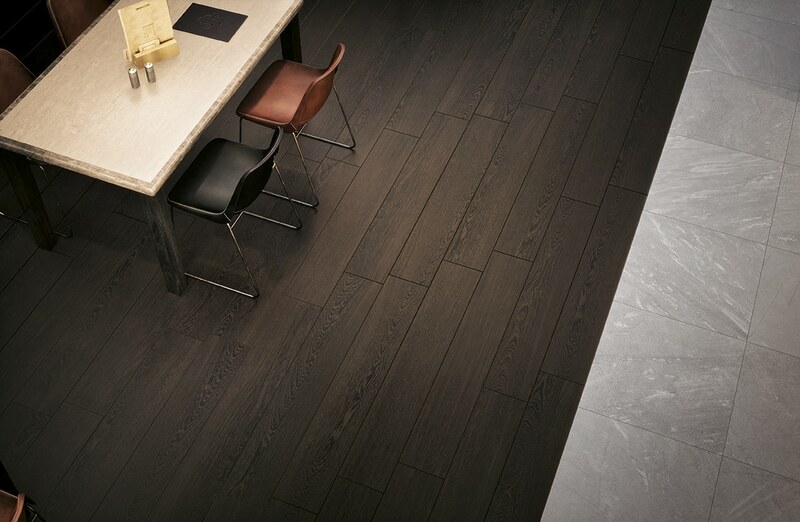 They also work really well in a commercial setting, such as a reception space in an office building. 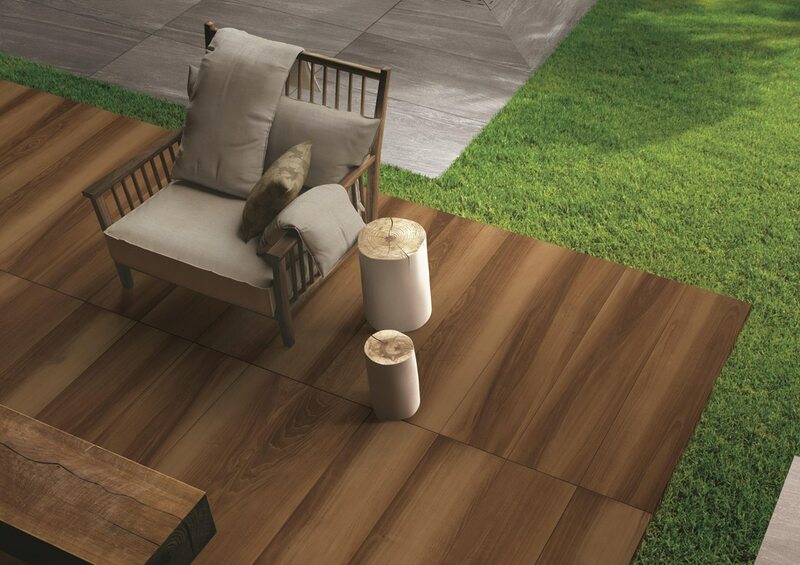 Prefer the traditional look of oak or the clean, sleek finish of walnut? Caesar wood-effect tiles come in an assortment of styles so that you can pick something that will complement your home or office. 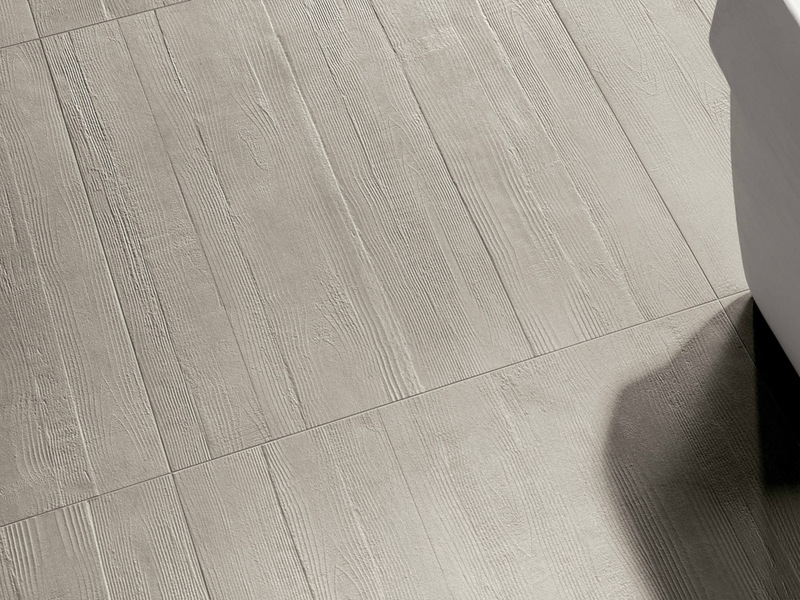 Ceramic tiles are very easy to clean and extremely low maintenance compared to wood flooring. 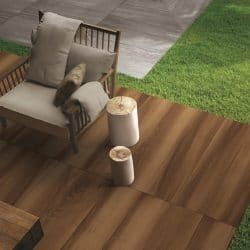 This makes them perfect for homeowners who want the beauty of wood without the ongoing maintenance costs and time that goes with it. Because of this, they’re also ideal for office buildings. 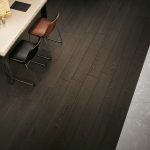 Water in kitchens and bathrooms means that wood flooring can warp if not looked after correctly. 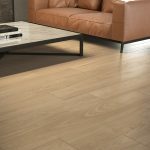 Wood-effect tiles will not warp or rot, making them the ideal choice for rooms where they will come into contact with water regularly. 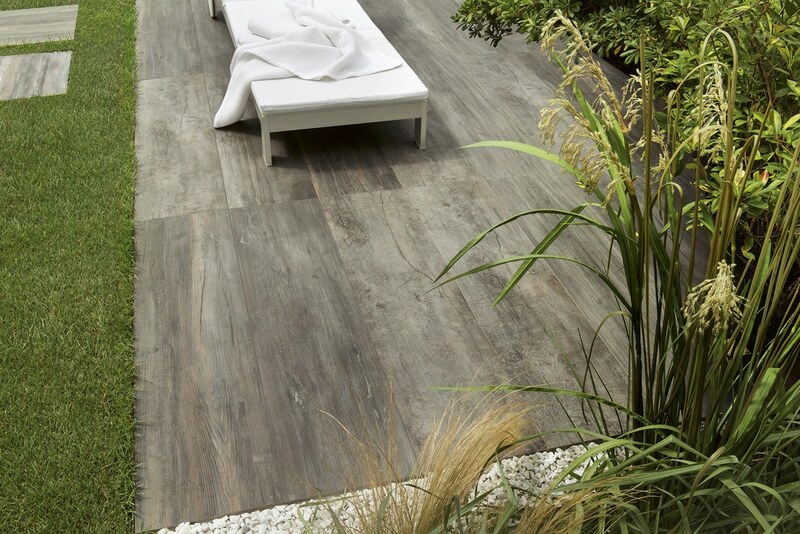 Wood-effect tiles are very hard-wearing and because they are so tough, they look as beautiful the day you lay them, as they do years down the line. 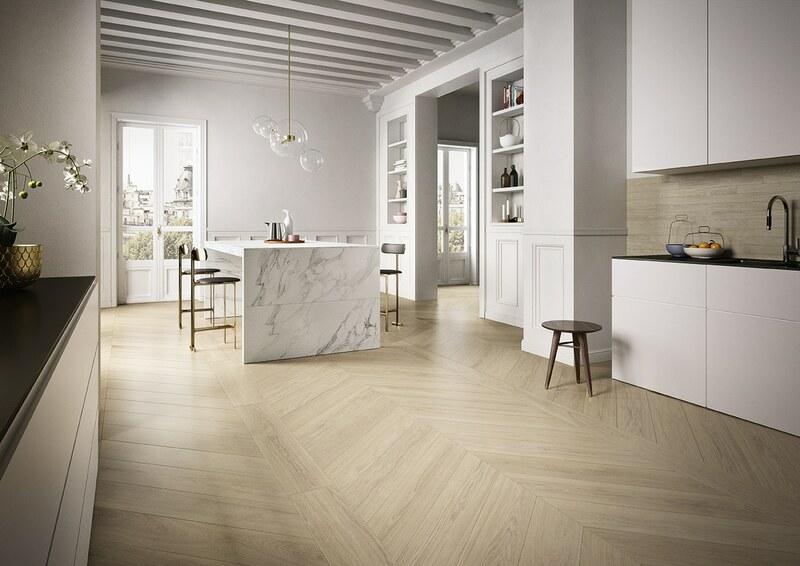 And because of the choice of finishes, they can look wonderful in both modern and more traditional homes. 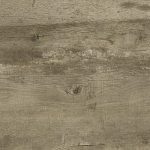 Due to the hard-wearing nature of wood-effect tiles, they are also a good choice for pubs and restaurants, where both style and easy maintenance are essential. 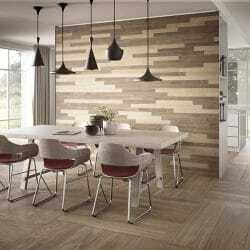 And because these tiles look so attractive, you definitely won’t be compromising on style. 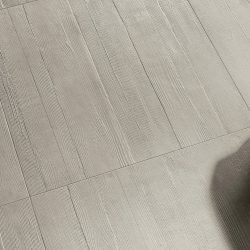 If you want to create a unique look, wood-effect tiles can be used together with other finishes to create interesting features. Looking for inspiration? Take a look at our pictures at the bottom of this page. 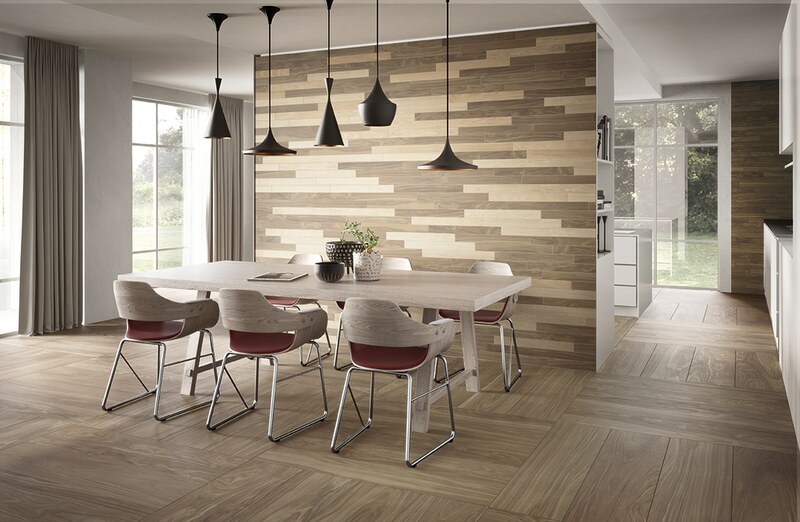 Want to know more about how our wood-effect tiles could create the look and feel you’re after? Get in touch today to find out more!